Last night I attended a reception hosted by the Vietnam Consul General, Tran Duc Binh at the Rihga Royal Hotel in downtown Osaka. I was representing the school with two colleagues on the leadership team. We are pictured above with the Consul General and his lovely wife Nguyen Viet Anh. 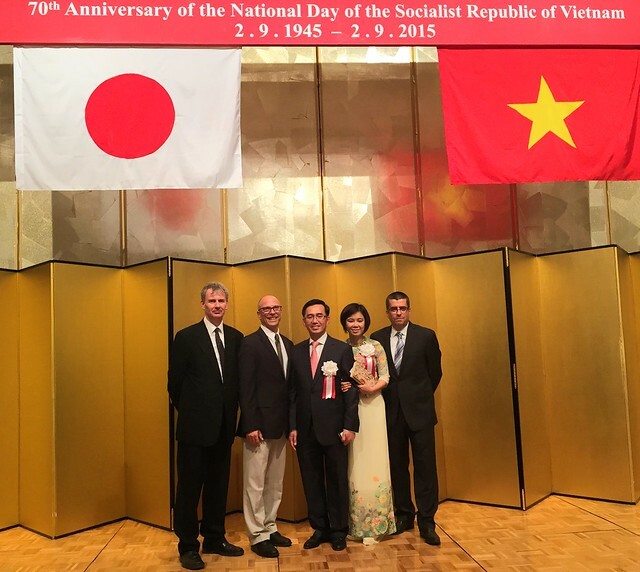 There were about 500 people in attendance on the eve of the 70th anniversary of National Day of the Socialist Republic of Vietnam. I learned much about Vietnam in listening to the Consul General’s speech. The country has experienced incredible economic growth in the past 20 years. 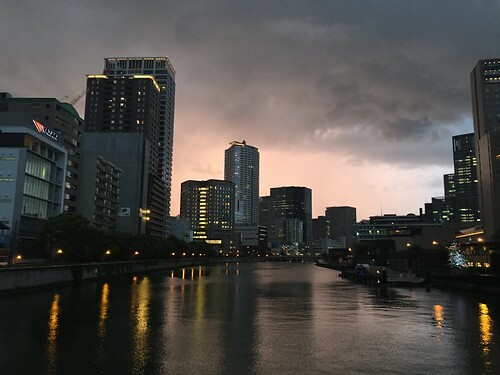 Their largest trading partner is Japan, and so the business community in Osaka was well represented at the party, as well as other consulates in Osaka. I didn’t know Vietnam was so big, with more than 90 million people. They have had quite a 70 years, going from resisting the occupations of France and the USA and getting over a civil war. I wonder what the future holds for the country, now with a better economy, but a growing powerful neighbor in China. When the speeches got a bit dry, I read on wikipedia where the Vietnamese people are genetically, in the middle of the east Asia – south Asia continuum. I admired the women’s national dress, the Ao Dai (photo below courtesy of (Impresive magazine) It is stylish, yet looks super comfortable. I think my wife Nadia would look great in it. We ate and drank well – thank you for Consul General Duc Binh for the invitation! That is a one of the nice things about working in international education is the contact with the international diplomatic community. Afterwards, we explored a bit of the old Fukushima neighborhood of Osaka. The city is great for the small alleys with loads of great restaurants, cafes and bars. It really is a foody paradise. 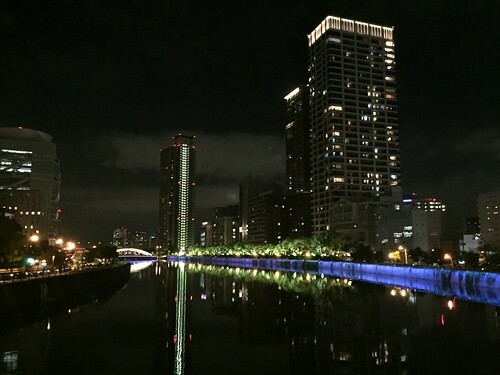 The canals of the Yodo river and city lights were also picturesque. All in all, a pleasant evening out.